"The Hidden Politics of Immigration" Scalawag Magazine Volume 1 Issue 3. "Black-Latino Coalitions in the South" The State of Things with Frank Stasio, WUNC Raleigh, NC. "Immigration as Race making" World on the Move, ASA Section International Migration Newsletter. 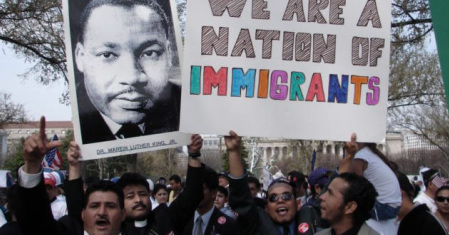 Photo taken by the Alabama Coalition for Immigrant Justice, 2012.